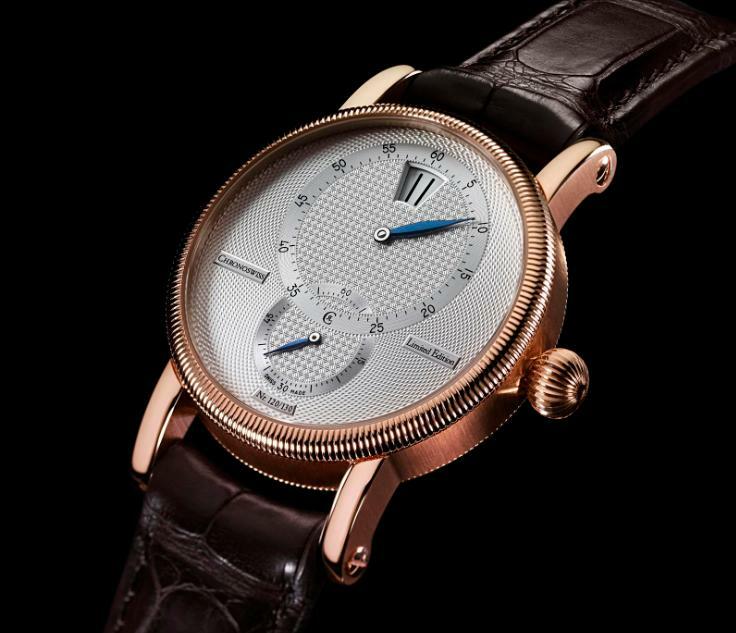 As Chronoswiss celebrates the 30th anniversary of its founding, the legendary Régulateur will turn 25. This special anniversary watch is actually an “untypical” Régulateur, in that it includes a window at the 12 o’clock position. It is here that the hour is placed within a “digital” display. The minute display has moved upward, intersecting the display of seconds. As an exclusive anniversary model, the Régulateur 30 will be available in a limited edition of 130 pieces in the red gold case and 300 pieces in the stainless steel case. The distinctive dial pays homage to the original Kairos model and features a lavish barleycorn guilloché pattern cut into the pure Sterling silver dial and emanating from its centre. 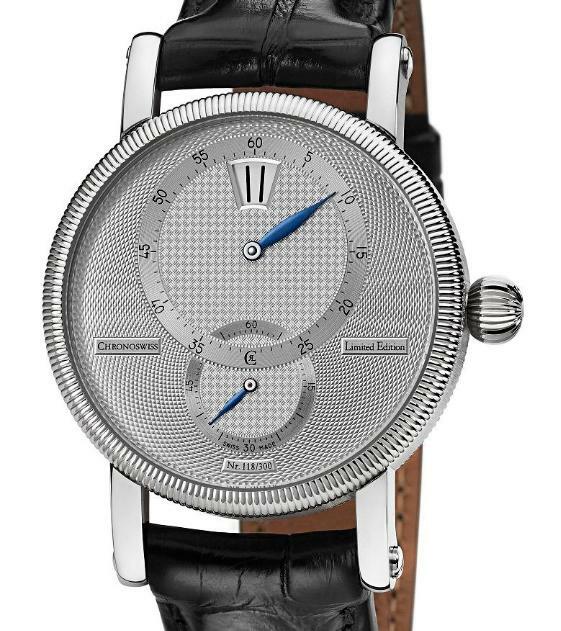 Both versions also contain a chessboard guilloché pattern within the minute and seconds subdials. This timeless aesthetic is completed by thermally blued hands, which have been manually ground and display precisely the right length for the dials’ displays. There are also less obvious details these will continue to play a large role at Chronoswiss in the future – for the next 30 years and beyond. Chronoswiss is a German watch manufacturer based in Karlsfeld. The company was founded by Gerd R. Lang in 1983 with the mission to make the most extraordinary mechanical timepieces. 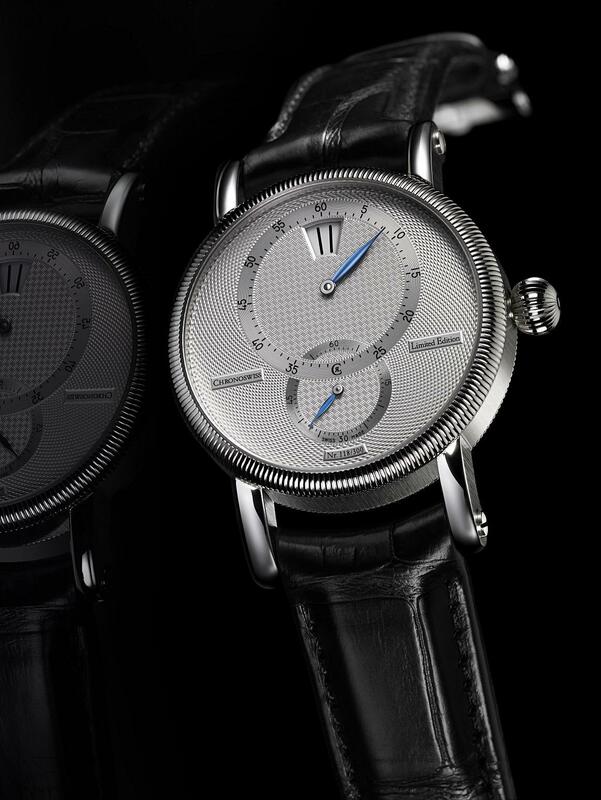 Prior to founding Chronoswiss, Lang had gained significant experience in manufacturing movements for other major brands. Chronoswiss tries to stay exclusive by only producing about 7,000 watches per year. Though a German company, every component is produced in Switzerland and then the watches are hand-finished.